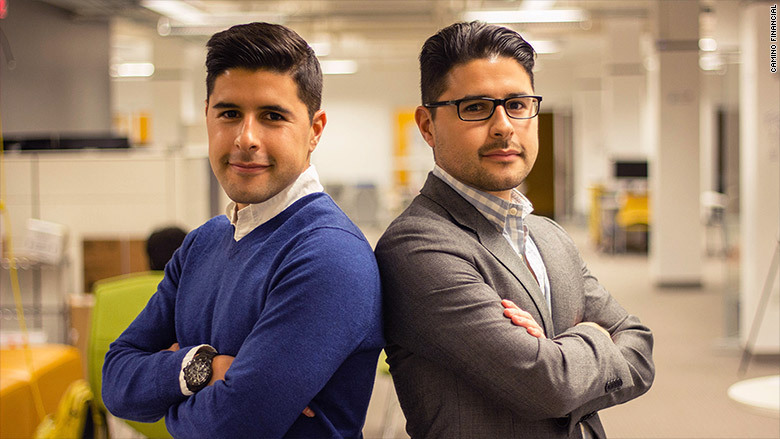 Twin brothers Sean and Kenny Salas see a billion-dollar opportunity in a market that most traditional banks and lenders have long ignored: Latino small businesses. The two founded Camino Financial, an online lending web site that helps connect small business owners who are first-time borrowers or who are having a hard time getting a loan connect with banks and other lenders. Sean Salas said the idea came to he and his brother when they were getting their MBAs at Harvard Business School. They remembered how their mother had to close her El Mexicano restaurant chain in Southern California because she didn't have sufficient funding or access to capital. 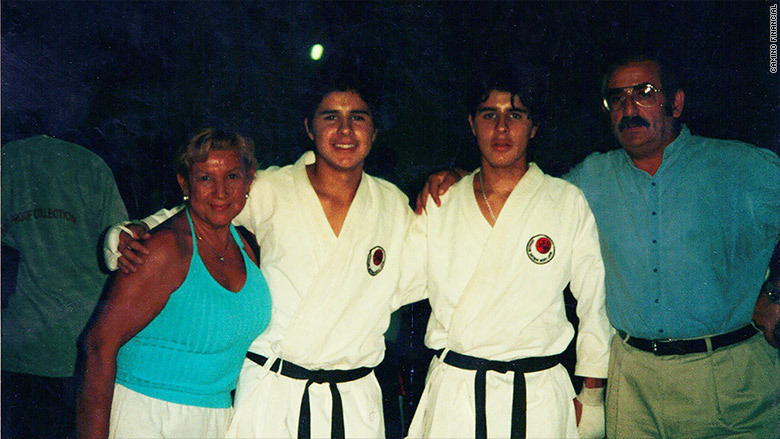 The closures forced the family to leave Los Angeles, where the two brothers had lived since they were born. So at age 12, they moved to their mother's hometown in Mexico. 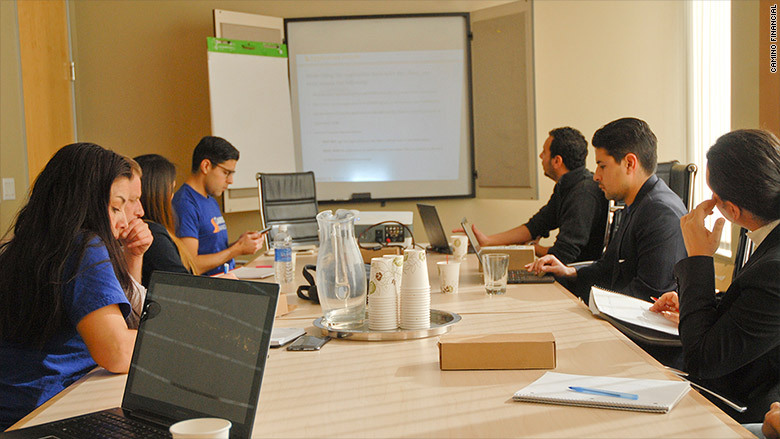 These types of stories are common among Latino entrepreneurs. Often, a lack of credit history or sufficient collateral to secure a loan keeps Latino businesses from getting the funding they need. According to a recent survey from Stanford University released late last year, only 6% of Latino-owned businesses had used commercial loans. And less than 1% had received venture capital funding, the researchers noted. But Salas said his mother's circumstances, and that of many Latinos, goes beyond access to financing. "Capital is not what closed my mother's business," Salas said. "It was a combination of lack of resources, 'know how' and affordable capital to grow the business sustainably." Sean and Kenny in Mexico as teens. Community banks used to lead the way in lending to small business, but many of them closed since the Great Recession, said Salas. "Traditional banks... aren't incentivized to lend to Hispanic business owners." This has forced many Latino business owners to turn to predatory lenders, which can charge interest rates of as high as 80%, he said. Through Camino Financial, Salas and his brother not only want to help Latino entrepreneurs qualify for more affordable loans, but offer them advice and ongoing credit monitoring to help sustain their business. Here's how it works: Camino doesn't finance the loans itself. Rather it pre-qualifies borrowers through its website then connects them with one of its 14 lending partners and takes a commission of 2.5% of the resulting loan's principal. "The commission is 100% paid by our lending partners, and in most cases, our services come at no additional cost to the borrower," Salas said. Since many Latino business owners often have little to no credit history, Camino Financial looks at multiple sources of information to determine their creditworthiness. The company's credit scoring system not only takes into account a borrower's credit score and tax information, but it may also look at other public filings, bank statements and even social media data (with the borrower's permission). On average, borrowers that get approved for loans have at least one year of business, $100,000 in annual sales and a 600+ FICO score, Salas said. Depending on a borrower's financials, Camino's lending partners typically charge rates of between 8% and 40%. Although rates typically don't go above 25%, Salas said. At work in the Camino Financial boardroom. Camino also underwrites the loan, which not only gives lenders extra peace of mind about taking on a riskier borrower but also opens the door for more Latino business owners. That's because Latino businesses tend to ask for smaller loans -- around $50,000 -- and banks are reluctant to take on the cost of underwriting the loan. "It costs a bank just as much to underwrite a $1 million dollar loan as a $100,000 loan," he said. Since it launched in 2014, Camino Financial has helped finance $1.3 million worth of small loans to 33 small businesses, according to Salas. "We believe we can originate $1 billion in loans by year five," Salas said. "Our alternative lending competitors have been growing that fast and if you have the right management team it's how fast it can grow." But a lot will also depend on Camino's own finances. The firm is one of the only 1% of venture capital-funded companies that are Latino-owned. Salas says Camino Financial has raised $750,000 -- and now the company is seeking another round of financing. Last weekend, they were busy pitching themselves to potential investors at Village Capital's 2016 Fintech Showcase at the South by Southwest festival in Austin. "We're a venture-backed Latino business. We take that with a very strong degree of responsibility," Salas said. "There's also a mission-driven aspect of our business. We want to help Latino businesses to grow."